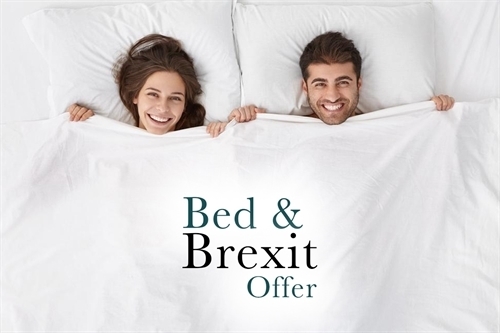 Book our Bed & Brexit Offer this April with rates from £35|€39 per person sharing per night. Selected Spring dates available. T&C's Apply. Please note the £35pps sterling rate applies to cash payments, if paying by debit/credit card the exchange rate may fluctuate slightly from day to day.